Wrap that planner up in style! After years of successful Hobonichi Techo cover designs, the Earthbound series makes its return to the lineup in 2019. This techo cover design is unlike any we’ve done before. 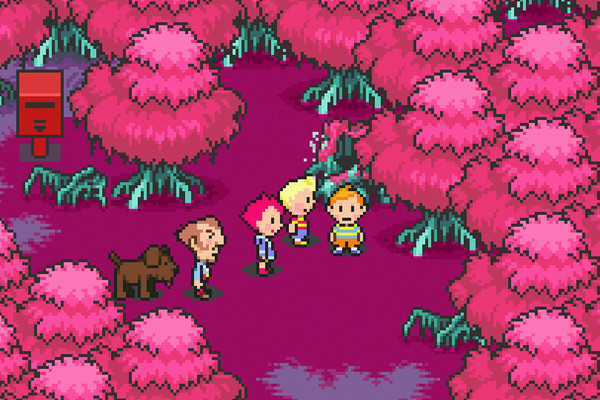 It features a photograph of the first three heroes of the game, Ness, Paula and Jeff, standing before the Third Sanctuary (Milky Well) along their journey. Fans who have played the game back when it first came out may recognize the figurines of the heroes. These famous and precious figurines were used in the photography of the official guidebook originally included with the game. Now, twenty years later, they make their comeback on a Hobonichi Techo cover. A series of 11 different pouches have seen release in Japan today, and one of them is Earthbound-themed! There are two different sizes for the pouch, depending on your needs. 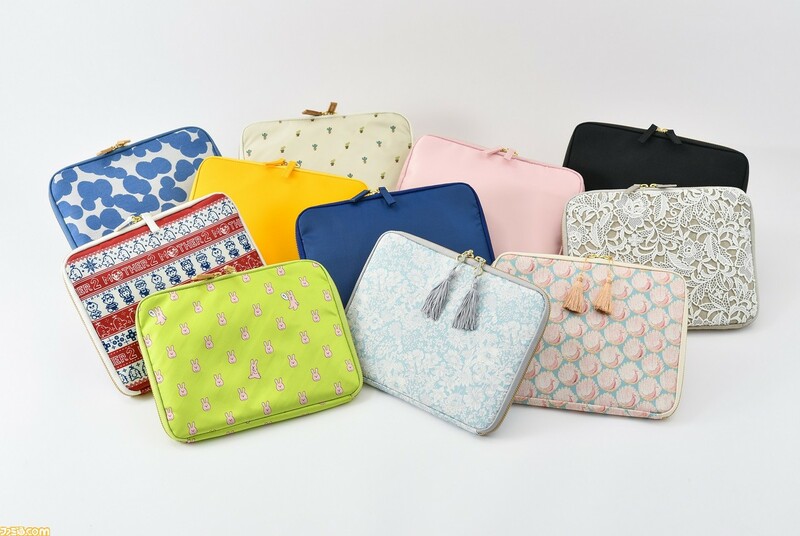 These pouches are all available now in Japan. You can check out more pics of the designs, as well as ideas for pouch usage here. Believe it or not, it sounds like Shigesato Itoi, the creator of Mother/Earthbound, has never played through the finished version of Mother 3. He's certainly had is part in developing every single aspect of the game, but apparently he's never sat down to play through the final retail version. He's planning to change that, as Itoi recently took to Twitter to announce he'll be playing through as a player for the first time. I hope he chronicles his adventures! In this video, Did You Know Gaming covers some history, secrets and Easter eggs from Mother 3 and its music for the Game Boy Advance (GBA). We look at everything from the original Mother and Earthbound, Mother 3's development on the Nintendo 64 (N64) and all the way to Lucas appearance in Super Smash Bros. Celebrate EarthBound, the Super Nintendo cult classic video game, for a full 365 days with Batter’s Almanac, a beautifully illustrated 2019 wall calendar. Front, back, inside, and out! This calendar was created through a collaboration of artists all around the globe, inspired by one little video game that came out nearly 25 years ago. 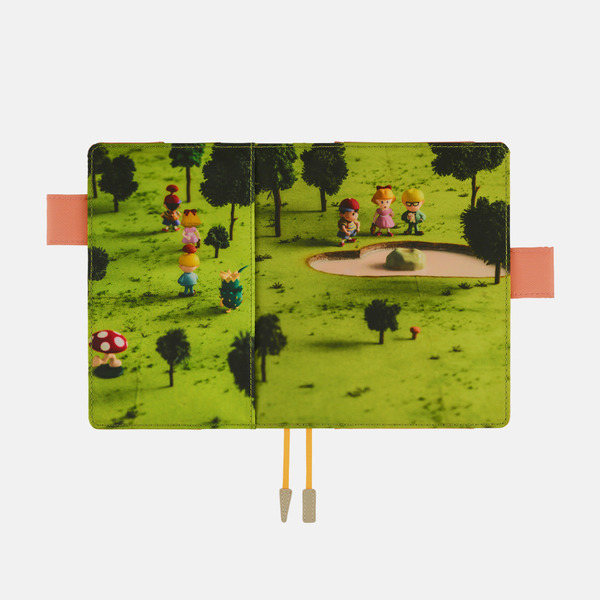 Every year without fail, Shigesato Itoi puts out a new line of Hobonichi Techo journal covers. Every year there's some new designs related to Earthbound, and this year is no different. You can see the two brand-new Earthbound designs above. These covers are meant to wrap your Hobonichi Techo journal and keep it stylish/safe! 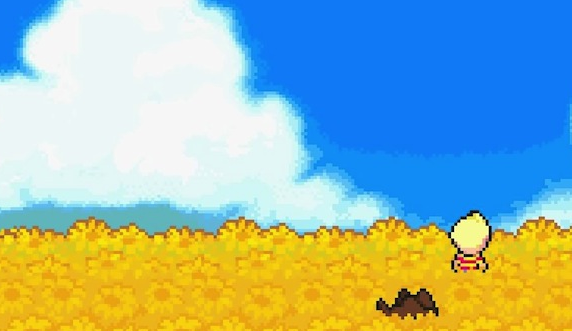 Do you want to see Mother 3 released in the West? How about Animal Crossing on Switch? You would be one of millions that want the same thing. In an IGN interview with Reggie Fils-Aime, the big guy says that Nintendo is indeed aware of your requests, but doesn't have anything to announce. “When we have something to announce, we will. Fill in the blank of your favorite franchise. Our mentality will be we'll announce information close to its launch date versus teasing people for years on end. I did see a lot of internet memes with sad faces from the Animal Crossing group. We see tremendous opportunity in using the mobile platform to introduce IP to consumers who may not be as familiar. Animal Crossing is a great example. Tremendous interaction with Pocket Camp. Fans are really enjoying that experience. We're introducing it to new consumers. That bodes well for whenever the next Animal Crossing might come." “Again, we know, I know there's a fan base for that title. All I could say is we're aware. It's something that we always think about in terms of where there are opportunities to reintroduce IP to fans, to do it in a way that builds new fans, we're certainly aware. No promises, no commitments one way or the other, but we're aware. It's interesting. I show up at the Belasco [theater] and one fan is saying ‘Hi, Reggie!’ and another is saying ‘where's Mother 3?’"